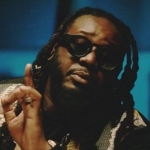 VIDEO: T-Pain’s Fourth Album RevolveR To Be Released On December 6th? 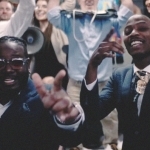 There is no doubt about T-Pain’s grind lately as we all can witness those footages popping up all day from the F.A.M.E. Tour. Not to mention Pizzle’s lead single “5 O’clock” featuring Wiz Khalifa & Lily Allen is definitely making it’s way on the iTunes and Billboard charts. To the point, we’d all know the album RevolveЯ has been on in the works for the few past years. Thanks to my fellow TPainaiac on Facebook I managed to got a hold on this interesting footage of T-Pain during this tour where he’d actually let loose some of the current state of the album. Possible features on the album as of now are (which some of you knew already) of now are Pitbull, Ke$ha, Chris Brown, Wiz Khalifa, Lily Allen & Pharrell. Now the most important thing of all Teddy mentioned in this video was that the album RevolveЯ will be due out on December 6th. Peep the 1:20 mark. Now let’s hope this is official! Also stay tuned for a whole bunch of Teddy Pain video’s!